There’s a lot more on the blog! This is just the start. Browse around and you’ll find posts about specific schools and all aspects of the admissions process. I loved your book. I wondered if you have something similar coming out for middle and high school? Hi there. i am new to your blog and have just purchased your book. i am starting the elementary school process and have to admit it’s overwhelming. can you recommend an education consultant i can reach out to to help with the process? i appreciate it and can’t wait to further explore your site! great information resource, so thank you! Speaking with Christina was great! Christina was so giving of her time, answering all my questions and addressing my concerns. 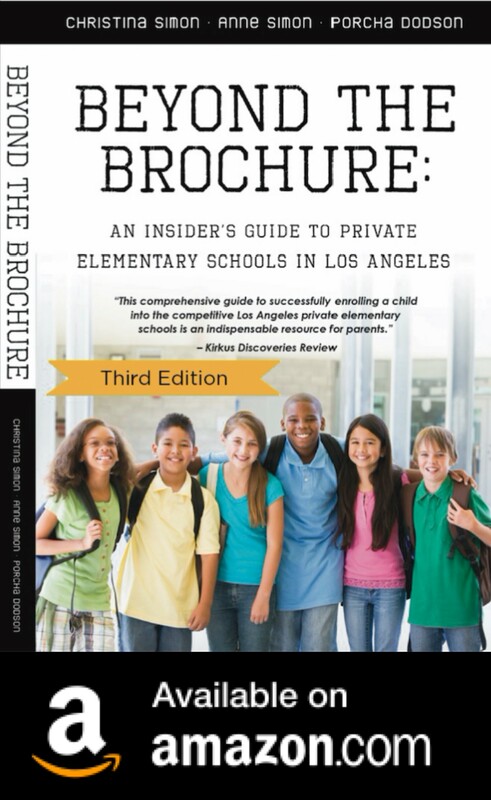 Broken Link Alert – the link for “How Are Private Elementary Schools Different From Public Schools?” leads to a “preview” URL that won’t display. Why don’t you have Glendale Adventist Elementary listed? This blog is so amazing! Is there a version for Orange County? I could use some help!